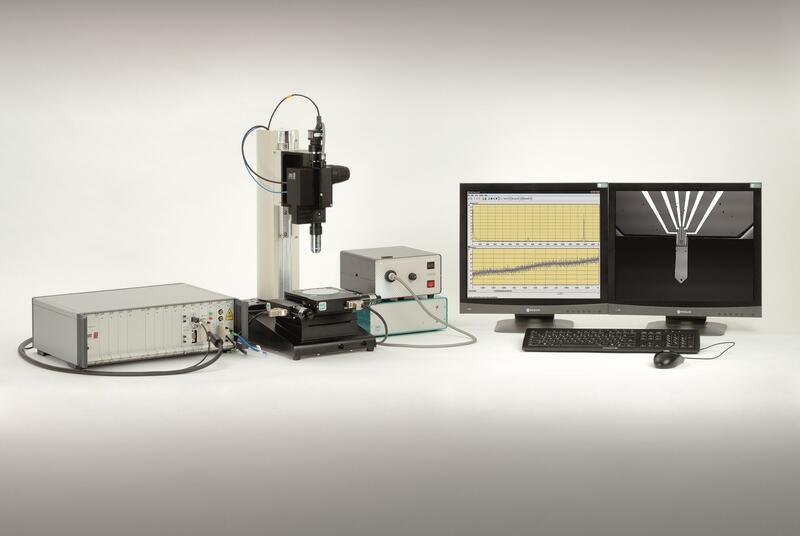 The Nano Vibration Analyzer is a fiber-coupled laserinterferometricvibrometer integrated in a precision technicalmicroscope. It is excellently suitable for measurements of dynamic properties and static displacements of micro structures,MEMS and cantilevers. 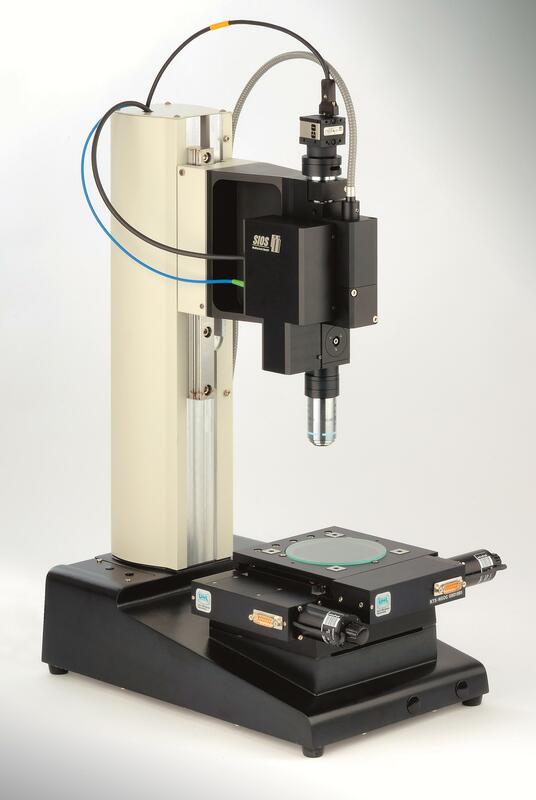 The flexible sample positioning in a wide range of 50 mm x 50mm is achieved by the specific microscope set-up. The vibrating object can be watched on PC by means of a USB camera. Different objectives with magnifications of 10x and 50x arechangeable. DC deflection measurements as well as spectral analysis up to a frequency of 2 MHz are possible. Amplitudes can be measured with sub-nanometer resolution. Operation and display of results employs a PC running specialized data analysis software. This software allows the frequency analysis of vibrations, the triggered data acquisition and a script-controlled scanning of surface structures.